Grass, whether it is artificial or real, is an important part of residential landscaping. We are big proponents of adding it to our landscape design at Ottawa Home and Garden. A well-maintained area of grass on a residential property is a welcome sight and can cool an area down, as it does not reflect sunlight like other ground covers like concrete products, asphalt, or even wood decks do. Deciding on a type of lawn for your property used to be as easy as selecting a grass seed and being done with it, but now homeowners have the option of laying artificial grass instead. But is it really worth it? Let’s take a look at using artificial or real grass in landscape design. Artificial grass or sod is available in a wider variety of colours, textures and lengths than ever before, making it an attractive, tempting option for some homeowners. It is usually made up of a combination of rubber and silicon for the infill (present in higher-quality options), nylon or polypropylene for the grass fibers, and, much like carpet, polyester tie cord for the backing that holds everything together. And, as the material and quality of artificial grass have both improved, it’s gained a broader range of applications. Once more or less reserved for use on sports fields and putting greens, artificial grass is making its way into playgrounds and even residential properties. The product is very durable and resistant to most natural conditions that can wreak havoc on a surface area. It is great for constantly shaded areas of your property since it holds its color for a great deal of time. It doesn’t require watering, cutting, or fertilizing. Depending on the quality afforded, it WILL fool the neighbours. It won’t die if it’s neglected and won’t ever be overrun with weeds, moss or insect pests. It doesn’t lead to a lot of mess (grass clippings and dirt) being tracked inside. Artificial grass is less likely to attract neighbourhood pets from doing their business where they shouldn’t: YOUR green space! This product can be very costly to install properly since the installation requires excavation and backfill of required materials for structure and drainage. In some cases, a water drainage system may be required since standing water or rainfall can undermine the structure of the base. Repair and/or replacement of artificial grass can become very costly. Many people miss the sensations associated with the real thing. Natural sod or grass, which is required by most builders to be installed before people take possession of new homes, can either be rolled on a prepped area as pre-grown sheets, or planted by seed and left to grow in just a month or two. With landscape design in Ottawa, there aren’t too many drawbacks to having an abundance of natural grass on your property, but there are some. It is an extremely cost effective way to cover a surface area compared to artificial turf. Areas covered in real grass absorb the rainfall. This is helpful for our city drains since it doesn’t add unnecessary water runoff that may over-tax the city’s water system. Natural grass, when well-maintained, is a beautiful sight and feels nice to the touch. It even smells nice. Maintenance, of course, varies based on the area and application. If an area does become damaged, the reinstatement or repair to the natural sod can be very simple and carry a much lower cost than artificial turf. Who can resist the feeling of real grass between their toes, or the smell of freshly cut grass in the spring and summer? Upkeep requires regular fertilization and a ton of water, which can be scarce in the summertime. Upkeep requires constant cutting, which can be time-consuming and pricey, depending on the equipment used or the company hired. Real lawn attracts insect pests and neighbourhood cats and dogs. 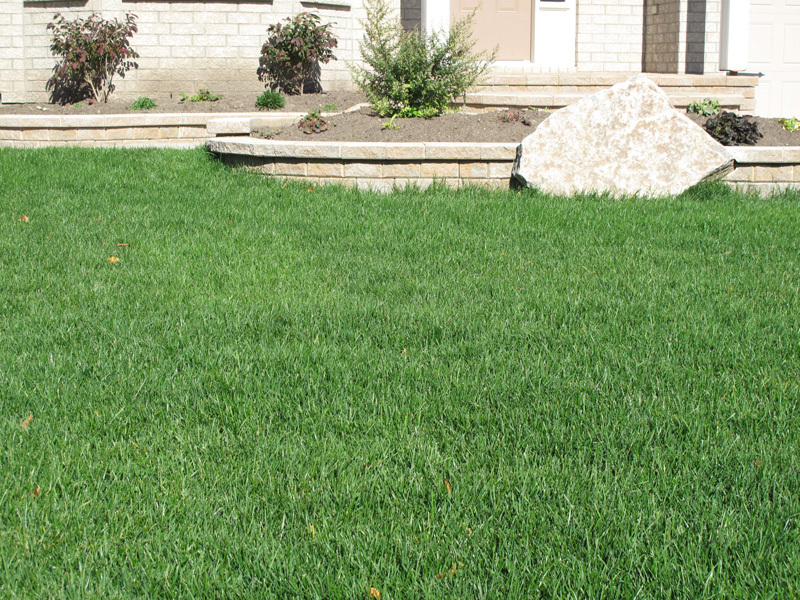 Freshly cut grass might be constantly tracked into the house, creating a bigger mess indoors than artificial sod. When it comes time to decide whether or not you want artificial grass instead of the real thing installed on your property, the choice comes down to more than just a numbers game. It’s not necessarily about what you can afford, it’s about what you ultimately want to look at every day. Sure, artificial grass will appear green even in the hottest months of summer, but looks aren’t everything, and eventually neighbours might catch on that you’ve been faking it. However, if caring for your lawn is just not your thing, artificial grass might be worth every penny invested. 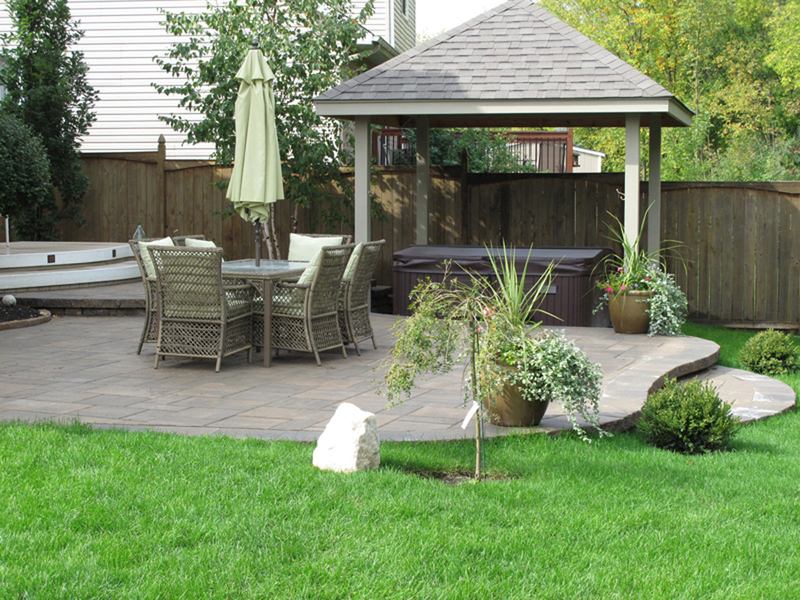 For any questions about any of the above, contact an expert of landscape design at Ottawa Home and Garden today. We’d love to hear from you!